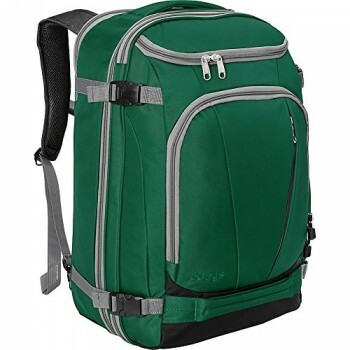 Large Capacity: The roll to close design and adjustable leather buckle provides expanding capacity by rolling up and down the top part of backpack. 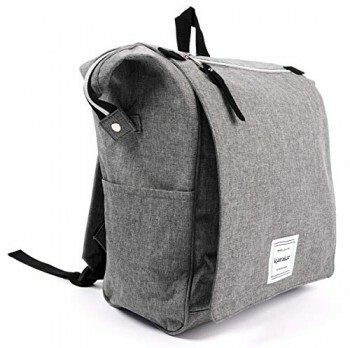 Fits almost everything you need such as laptop, notebook, Phone, wallet and so on. 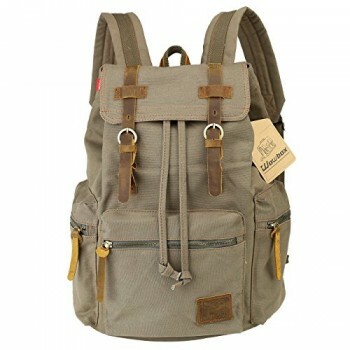 Heavy Weight Waxed Material: Wax canvas material makes the backpack waterproof. 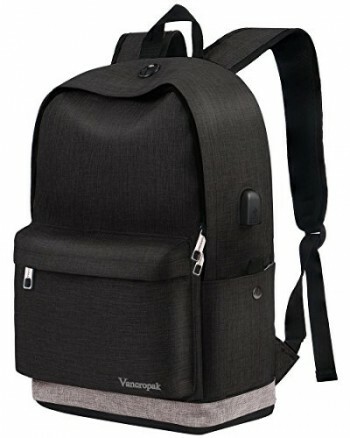 When water hits the backpack surface, it beads up and rolls right off, providing double protection to your belongs. 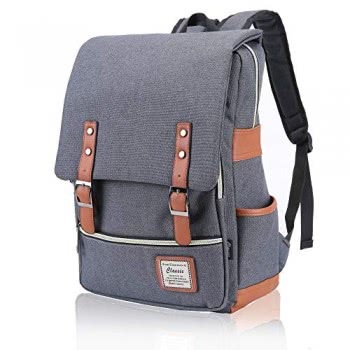 This backpack is made from heavy weight waxed with cowhide leather, it’s designed into an everyday backpack/rucksack, with enforced leather adjustable straps, closes with roll to close system and snaps with a leather strap. 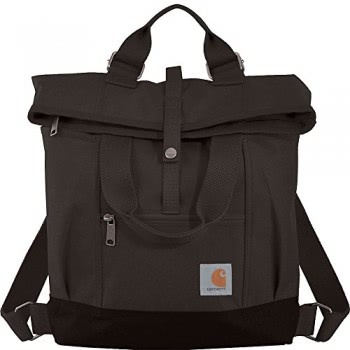 It has cotton interior, with one zip pocket and 2 slip pockets for cell phone, keys, small cosmetics etc. and easy access with roll to close. Enforced & Adjustable Strap: The enforce strap provide maximal load bearing. And the adjustable design make one size fits most. 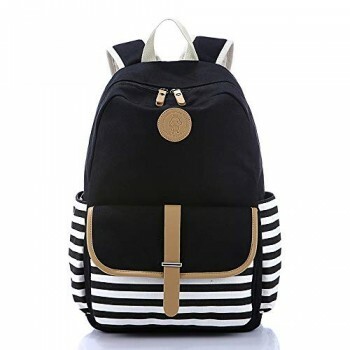 By adjusting the length of strap, the user can distribute backpack weight evenly to the shoulder.